The Power Engineering graduate certificate (pending approval), offered through the Department of Electrical and Computer, is available online and on campus to both degree and non-degree-seeking students who are interested in continuing their education by seeking advanced knowledge in power engineering without committing to a master's degree program. Students who complete the certificate will have avanced knowledge in topics such as power electronics, power system operations, power quality, among others. You hold a bachelor's degree in engineering or equivalent from an institute of recognized standing (exceptions may be approved if the student has the background needed to succeed in the graduate engineering courses). There is no GRE requirement. You will have an increased specialized knowledge in power engineering. 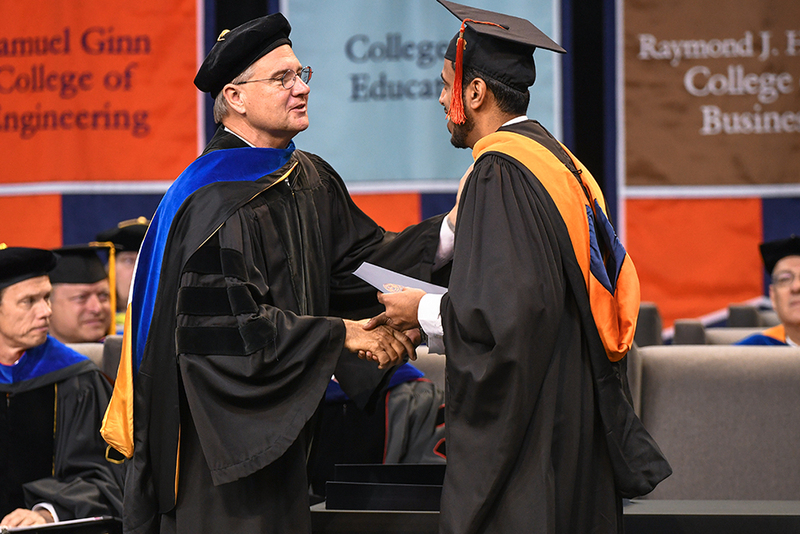 If a student chooses to pursue a master's degree, all academic credit earned from the certificate may be applied toward the graduate degree. Contact John Hung, professor and electrical and computer engineering graduate program officer, for additional questions at hungjoh@auburn.edu, or call 334.844.1813.